April 27...... CLASSIC ROCK EXPERIENCE! Hey, after you peruse this site, please sign our Guest Book before you leave! Check out what people are saying about the Watseka Theatre & this website! 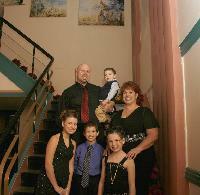 Welcome to the WATSEKA THEATRE website. 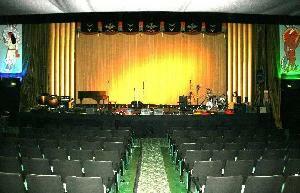 We are proud to introduce to you the new look of our fabulous 1931 Art Deco Watseka Theatre venue. We look forward to bringing to the community the opportunity of experiencing a variety of entertainment arts; from concerts, live music & professional dance troupes to dinner theatre, local talent shows, private events such as weddings, and special holiday productions. This beautifully classic 1931 Art Deco building was designed by the famous Louis Skidmore of "Skidmore, Owens and Merrill." 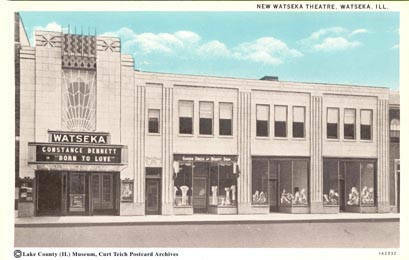 The Watseka Theatre is believed to be the only theatre he ever designed. He went on to become the "Chief Architect" of the 1933 Century of Progress Chicago Worlds Fair. You may be familiar with some of his and his firms most renown buildings, such as the New York United Nations Building, Chicago Sears Tower and the John Hancock Center. 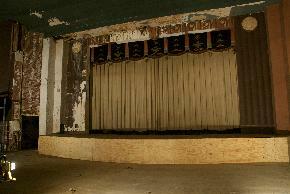 The Watseka Theatre is definitely a "Diamond in Our Own Backyard." We will offer the Watseka Theatre and its accompanying facilities to the community to rent for private parties, weddings, corporate meetings, family reunions or.... just use your imagination. Please sign our guestbook, we appreciate hearing from you. Main floor and balcony seating for 375. The seats are large, comfortable and have a cup holder. The theatre proper is ADA accessible as is the Club Cafe & Bar, lobby and restrooms. 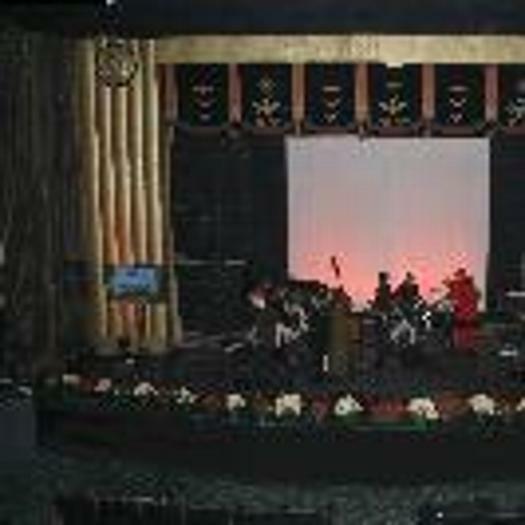 The theatre proper can be utilized for many types of events - live concerts & theatre, weddings, proms, corporate, community and family events and movies. The house sound, light and video systems are state of the art and come with technicians, as needed, to insure your event is punctuated with your specifications. In-house production services are available to assist with creative aspects of event planning at no extra charge. The Club Cafe is open for dining on FRIDAYS only for lunch and dinner. We offer fresh hand made pizzas cooked in a wood burning oven for lunch. Enjoy hand tossed pizza cooked this way - a rustic and smoke flavor that is unique in this area. Add to that our fabulous house salad. Oh yeah, your soft drink or iced tea is included. We offer a dining experience on Friday night that includes smoked meats offered with BBQ style sides, dessert & house tossed salad included. Served family style for three or more people. Sandwiches with one side dish are another option. Also present is a full-service bar with your favorite elements to make up your favorite concoction. Join us for cocktails and an appetizer or chocolate dessert. The Club Cafe is a delicious and fun atmosphere in which to enjoy your moment. For private parties and weddings, this area can be utilized in a number of ways; just ask. We cater specifically to your event with many offerings from which you may choose your special menu. The Club Cafe is wheelchair accessible with ADA restrooms and wheelchair access to the Theatre proper. This large open space can seat 155 people for banquet dining. It is the PERFECT special event space for large private parties, weddings and expositions. This blank canvas room can be designed and decorated for your particular festive needs. At this time, the Skidmore Room is not wheelchair accessible. This area could communicate with the 1st floor via live, closed circuit television during all events. You will experience the feel of one big room, whether you are upstairs viewing Watseka through all of the beautiful picture windows recently redone in 2014 or downstairs in the Club Cafe. If you can not make it to the second floor, you won't miss a thing! The Theatre Marquee is available on which to place your event sign. Just imagine 15,000 cars per day driving by observing the date of your event. Our marquee is your best advertising option. We know, it sells tickets! You ask, "Where the heck-in-the-world is Watseka"? It is just that easy. The city of Watseka has a hotel to accommodate overnighters.